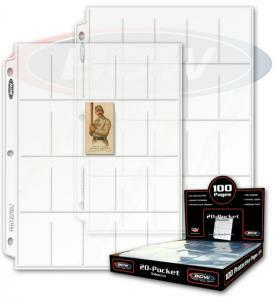 The BCW Pro 20-Pocket page is an acid free archival quality product that is perfect for storing Allen and Ginter's or T207 Tobacco Card. This product features high clarity and top loading pockets with strong welds. Fits well in our Albums / Binders.